On October 6, four Iranian men were sentenced to 80 lashes each for drinking ceremonial wine as part of a communion service in their local house church. Alcohol is forbidden under Iran’s sharia law which governs the justice system and the death penalty is an option for any Muslim who converts to Christianity. Last December, Behzad Taalipasand, Mehdi Rez Omidi (Youhan), Mehdi Dadkhah (Danial) and Amir Hatemi (Youhanna) were attending a house church in Rasht, Iran, when the meeting was raided by Iranian police. According to sources, the portion of their name in brackets represents their Biblical names. 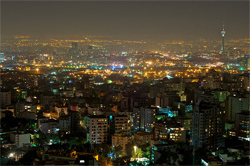 The raid was part of the Iranian government’s crackdown on house churches. Rasht with a population of 600,000 overlooks the Caspian Sea. All four were charged and two of them — Behzad Taalipasand and Mahdi Reza Omidi (Youhan) — have been in custody since their arrest on December 31, 2013. Christian Solidarity Worldwide (CSW) — a Christian organization promoting religious freedom around the world — released information on the sentence shortly after it came down. There is a ten day period — starting October 20 — in which the sentence can be appealed. In addition to the communion wine, the four were also charged with possessing a satellite antenna and receiver. Next PostIs it really a “fossil” fuel?